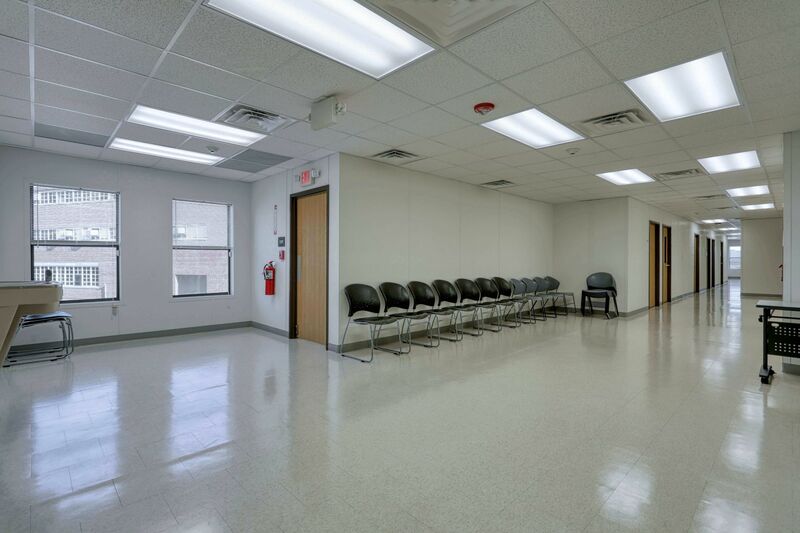 The Washington DC Department of General services was in need of a relocatable building for DC Public Schools. 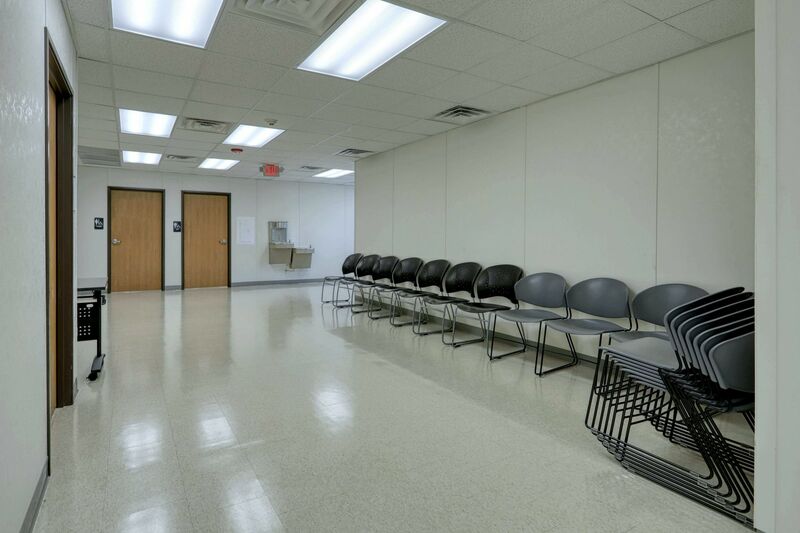 The building would house the school bus dispatch, breakroom, and an assembly meeting space for their drivers. 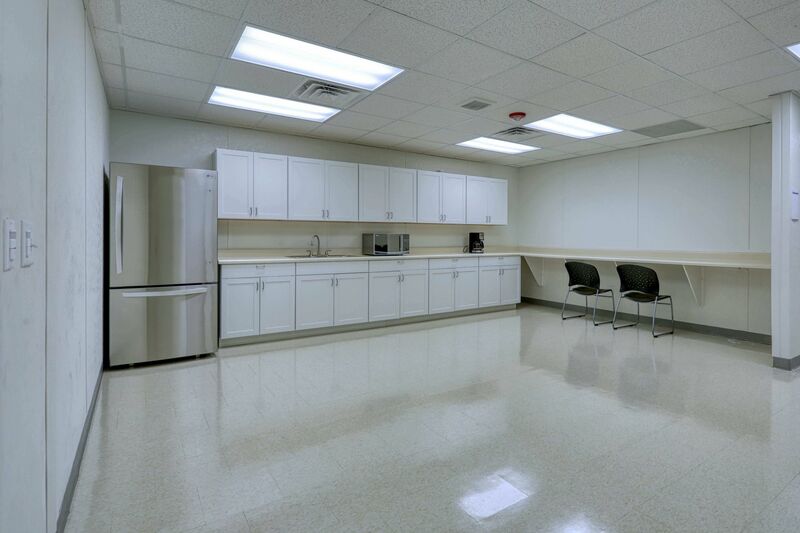 The existing facility was dilapidated and in need of replacement. A parcel of land next to the existing building was selected. The modules were stacked end to end, side to side, and top to bottom. Hardie Panel siding was selected to compliment the surrounding buildings on the property. 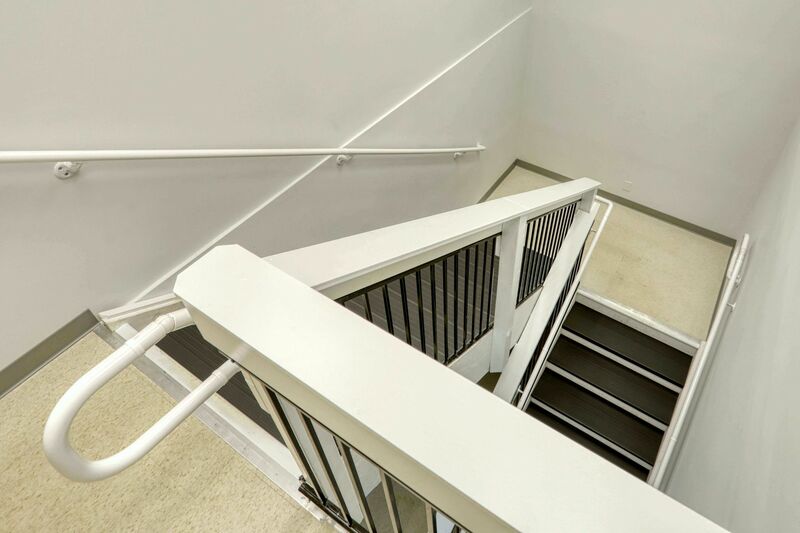 Pre-fabricated aluminum ADA ramp and stairs with complimenting canopies were installed for egress. Two stair wells were designed inside the building on opposite ends. The interior of the building was configured to fit within the small piece of land we had to work with amongst the hundred plus school buses. 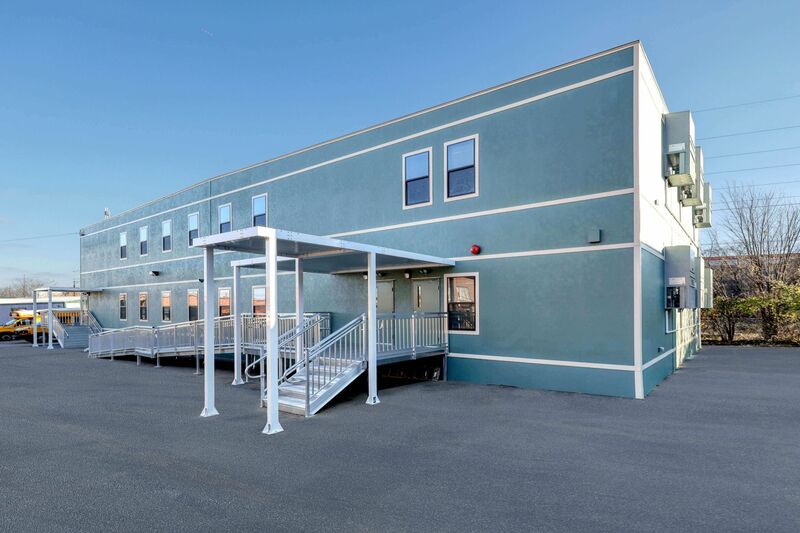 The modular building constructed by Diamond Builders, Inc. of GA along with the pre-fabricated access systems by Upside Innovations accomplished the speed to occupancy requirement of the project while staying within the cost parameters to accomplish the task. 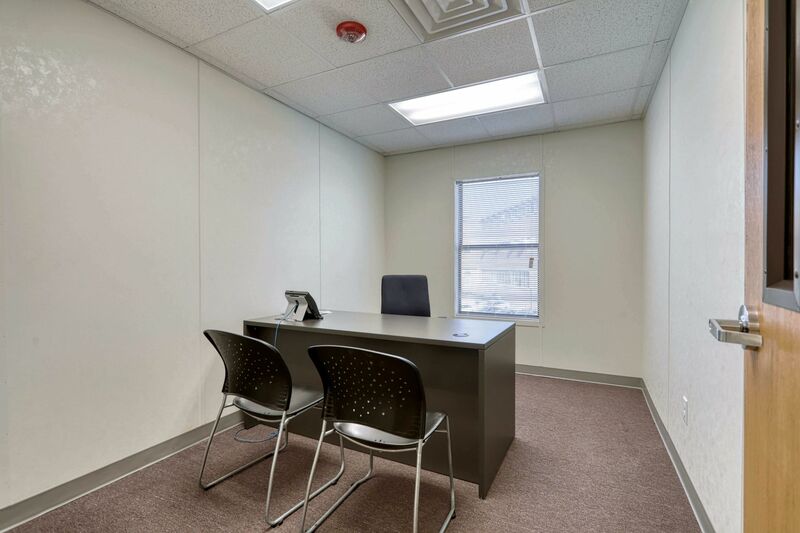 The modular sections were set in two days by Modular Genius, Inc. installation team. The pre-fabricated access systems were a key player in the success of the project. Meeting all state and local guidelines for accessibility allowed scheduled coordination of inspection activities seamless. 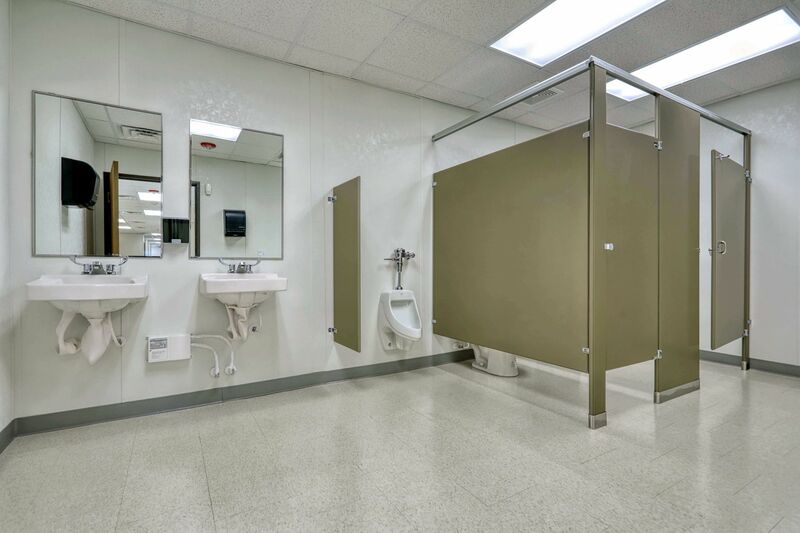 This ever changing and growing bus terminal facility needed the flexibility and relocatability of modular in case they had to relocated one day to another part of the facility.